Computer scientists at Queens College and Columbia University have developed software that purportedly can determine if someone is drunk based on that person’s speech patterns. The researchers believe that someday the technology could be attached to cars – much like interlock ignition devices (IIDs) are attached – to keep intoxicated drivers from getting behind the wheel. Over a two-year period, researchers gathered speech pattern data from 162 participants at various levels of intoxication. They claim to have identified precisely the speech patterns most commonly associated with intoxication such as stammering, stuttering, and, slurring. They might have something. But throughout the years, DUI attorneys have seen a variety “scientific” gizmos – all promising to detect or measure intoxication – come and go. If you’re charged with DUI in Orange County, let an experienced Orange County DUI defense attorney handle your case. Many defendants charged with DUI on the basis of breathalyzer exams, for example, have won acquittals because it’s probably impossible to establish a uniform, absolutely reliable system of measurement for something – like alcohol – that clearly affects everyone differently. Still, U.S. scientists believe this particular software could be widely used to prevent a car from starting if it determines a driver is impaired. Researchers admit that currently, the software only identifies a driver’s intoxication about 75 percent of the time. The speech software is another tool in the ongoing and never-ending effort to outwit would-be drunk drivers. 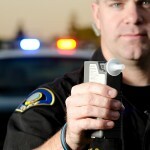 Every state requires the use of ignition interlock devices for at least some DUI offenders. The National Highway Traffic Safety Administration is hoping to develop alcohol detection sensors that could be installed eventually in every car in the country. While the technology advances, if you’re charged with DUI in Orange County or elsewhere in southern California, you need legal help today. 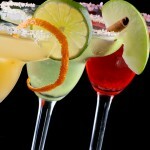 Get it by arranging at once to speak with an experienced Orange County DUI defense attorney.